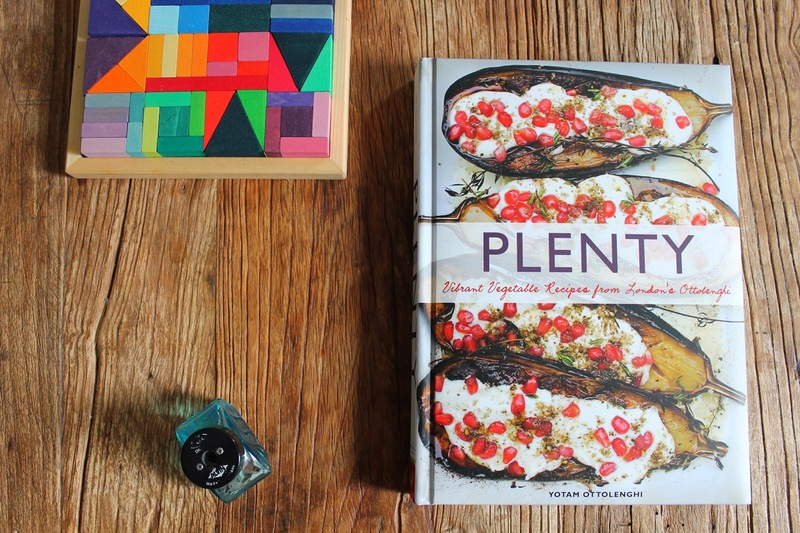 A new friend (who I met through this blog, lol you know who you are) recently gave me this cookbook Plenty by Yotam Ottolenghi and omg is it fantastic ! I knew I just had to try the cover recipe first. 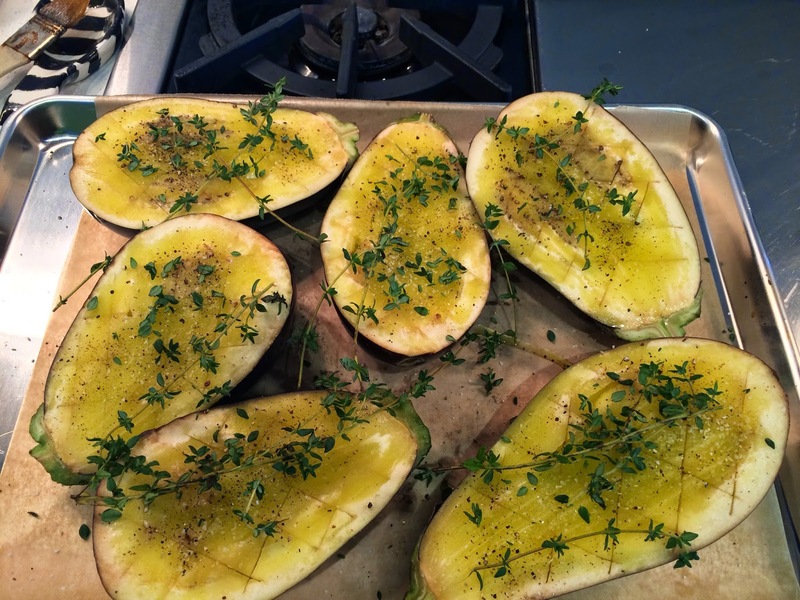 Half the eggplant and then cross hatch the flesh but leave the skin intact. Brush on olive oil until it won't take anymore. Eggplants are like sponges, I was surprised how much I used (like almost a full cup). Sprinkle with lemon thyme and salt and pepper. He also seasons with za'atar, which I don't have in my pantry yet so I don't know what I'm missing :) (yet). 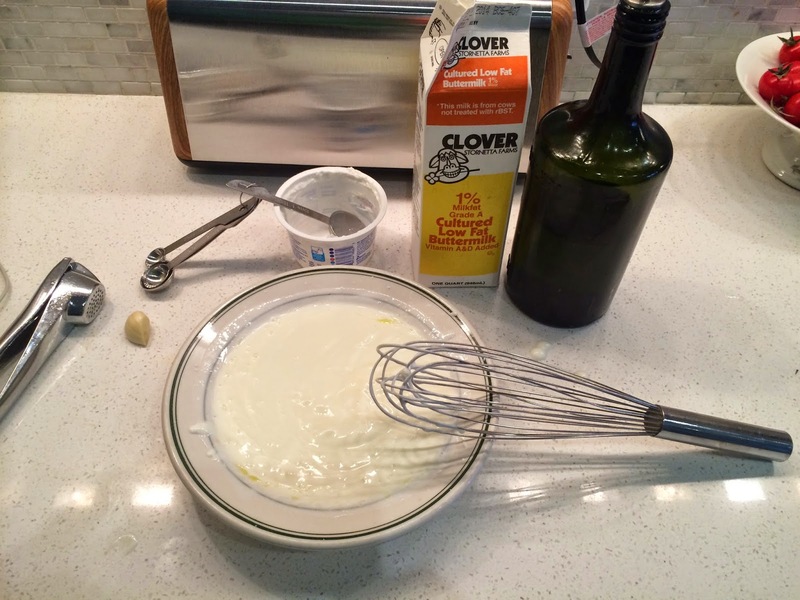 The sauce is a combo of greek yogurt, buttermilk, olive oil and garlic with a dash of salt. I think I might have roasted these a little longer to get even more caramelizing. 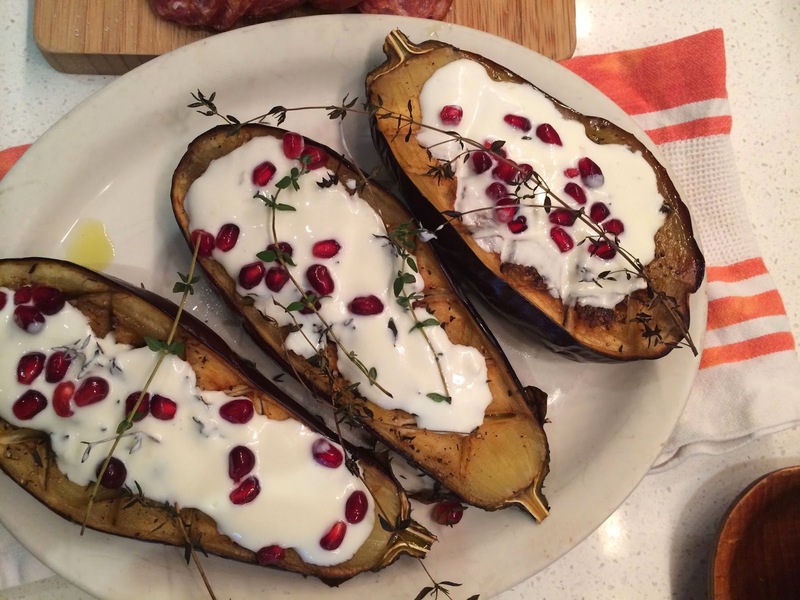 The pomegranate seeds make this dish. The full recipe with ingredients and measurements is here. 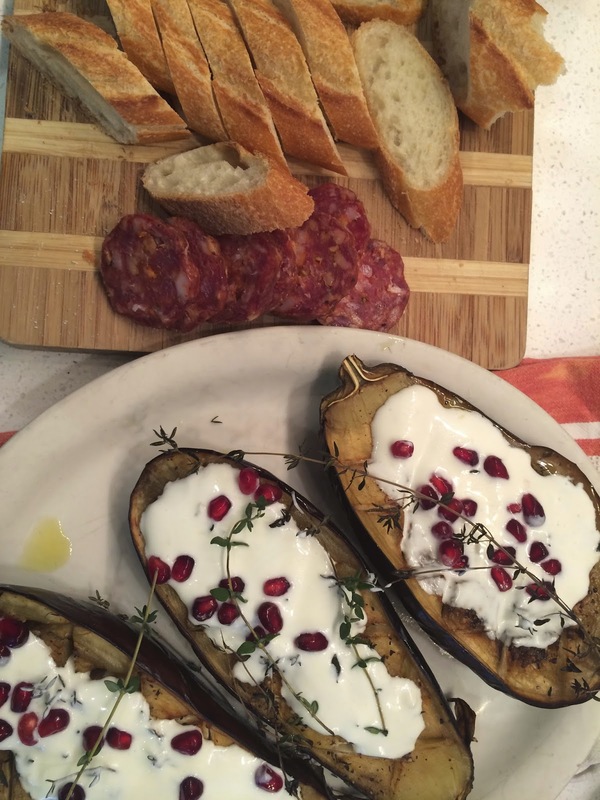 We ate ours with some salami and spread the eggplant on bread. So so good.